where more than half of all families live in poverty and 1 in 10 children die before their 5th birthday. Our health, child protection and education projects are designed and run by local people, for local people, providing sustainable solutions to keep vulnerable children healthy, safe and in school. We guarantee a direct flow of funds from our UK Registered Charity to our Ghana Registered NGO and are independently audited every year to account for every penny we spend. Our team in the UK provide due diligence and oversight, ensuring every penny you give helps children and families in need. We want you to fully understand the impact of your support and see the real difference you have made. Our acclaimed feedback will show you how we have used your gift and the lives you have helped us to change. We are committed to making changes that local communities can uphold without our ongoing support. We do not foster dependence on aid, instead our work gives local people the knowledge, voice and confidence to lead and maintain changes themselves, improving life for children today and in the future. Join us to make this a reality. Choose AfriKids as your charity of choice and #AmazonSmile will donate 0.5% of your purchase to us at no extra cot to you! Two thirds of illiterate adults are women. Join us in the fight for gender equality and help ALL children access a quality basic education. 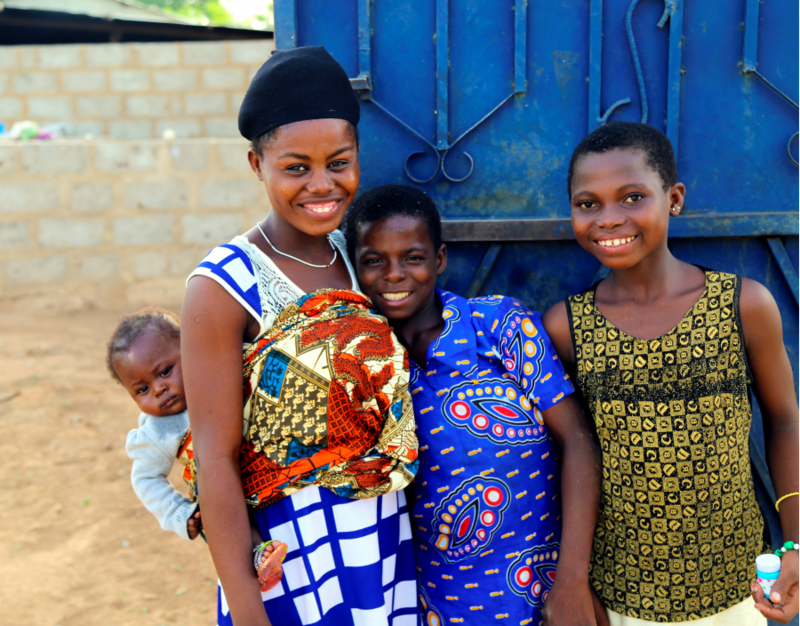 Only 16% of adults are registered on the National Health Insurance Scheme in northern Ghana meaning that healthcare is very expensive and inaccessible for many. In Bolgatanga, the AfriKids Medical Centre is owned &run by the local team who work hard to improve the quality and accessibility of healthcare for all. AfriKids needs you! Become an AfriKids #ChangeMaker today. Happy Monday! Are you up for a challenge to run 10k and fundraise to ensure children in northern Ghana are happy, healthy, safe and in school? Great to see a shout out for our #Time2Shine appeal in the @Telegraph today! Thanks to @junesarpong for covering the story and the #UKGov for match funding the appeal through #UKAidMatch @DFID_UK. 2019 is going so quickly! AfriKids' work would not be possible without all of your generous support so thank you for supporting us to ensure that children in northern Ghana are happy, healthy, safe and in school. AfriKids is committed to ensuring the protection of all children. We are proud to announce we are now members of the @keepchildsafe network. Dorcas is able to fulfil her dream of becoming a nurse with YOUR generous support. Happy #WorldPoetryDay Onomatopoeias are a very useful tool when writing poems! The Zaare Challengers @ZaareTime2Shine, AfriKids’ #FebruaryFundraisers🌟! We hope you're wearing your #RedNose with pride today? Thanks to our friends and partners @ComicRelief for continuing to change young lives across the world, including with #AfriKids in #Ghana. Happy #RedNoseDay!! If you were following our Time to Shine appeal, you might remember Caroline & Jennifer who are shining lights inspiring change for young women around the world. Last week Victor was speechless following your generosity & he still is after finding out the total YOU raised for the #Time2Shine appeal! Collectively & w/ match funding from @DFID_UK YOU have raised over £1.2m!